Can you store a motorbike in a modern self storage facility? Fitting a motorbike in a self storage building? Most storage companies include bikes in their list of potential items that can be stored by customers on their premises, but does that mean bicycles or motorbikes, or both? Storage of bicycles is quite standard at most storage facilities with a normal style of bike being able to be stored in even a small 25 square foot storage unit. An average bike can be squeezed into a unit of this size, with maybe 2 or 3 fitting if they are balanced on their rear tyres. People in the United Kingdom generally spend less when purchasing a bicycle than any other nation in Europe, but even so you still don’t want them to be stolen and a storage unit is a perfect place to keep them safe from thieves and weather during the winter months or even when they are not going to be in use for any length of time. 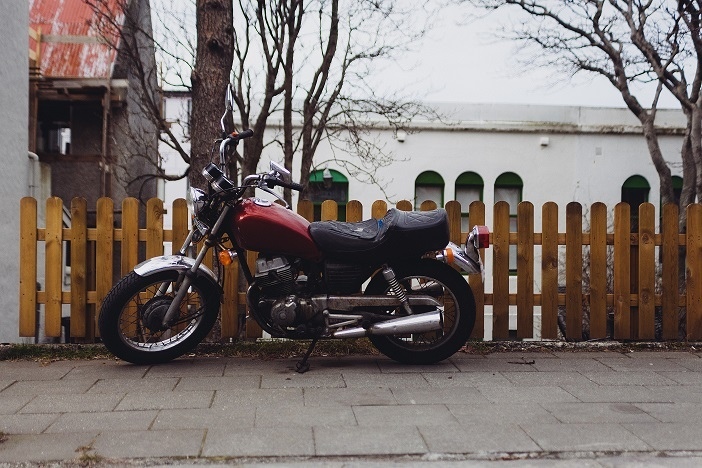 Storing a motorbike is slightly different although essentially a very simple process. Basically the motorbike just needs to have an empty fuel tank and a disconnected battery. The size of storage unit required for a motorbike will be slightly larger with a 35 square foot (10 foot deep, 3 and half foot wide) needed to get it inside and up onto its centre or side stand. This would probably leave you with enough room to store other items in the storage unit as well as the motorbike. Generally any type of motorbike can be accommodated in a storage facility, although a chopper might require some preparation! At Lok’nStore we even have lifts big enough and strong enough to take the weight and size of a motorbike, enabling us to offer more choice on unit availability and price.